Watch our water conservation and efficiency videos – and discover how the experts at Roto-Rooter can help you save precious natural resources, and money, at your home or business. With our DIY videos and information on the water-conserving services and products our teams use every day, you can go green and save green in just a few simple steps. Of course, not every plumbing job is suitable for DIY-ers, which is why our professional plumbers are trained in the latest technology and techniques. For more information on how Roto-Rooter can help make your home eco-friendlier, or for emergency or regular maintenance services, call 1-800-768-6911. Learn how simple plumbing leaks in a urinal can cause your business' water bill to skyrocket. 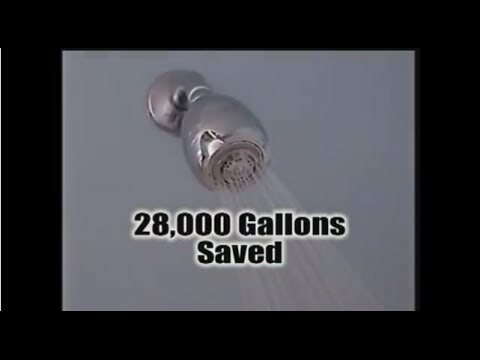 This informative video will show you a real time example of just how much this can run your water bill up. Our experts at Roto Rooter understand that what seems like a minor problem can end up costing you a lot more in the long run. We're here to help with your next leak repair so you can reduce your water bill and stay on the right side of water conservation. We're here to help 24 hours a day, seven days a week.